I just returned from a meeting with a dozen local pastors; Gary Kendall who pastors Indian Creek Community Church, Pastor Ron from New Journey Church, Pastor Greg from Southwoods Christian Church, Adam Hamilton from Church of the Resurrection, Matt from Westside Community Church, and a few others I did not get a chance to talk to personally. What I love and appreciate is the heart of each pastor to fulfill their specific God-given Mission for their church. When I reflect on the body of Christ (the church) there is one thing, if I can be honest here, that is lacking… well actually two things; true maturity and love. Both these go hand in hand… when you are truly mature it’s visible through our love walk. When people talk about going deeper in their Christian walk that can mean a million different things for a million people… for the Catholic it’s more prayers and liturgical stuff, for the Pentecostal it means more passionate praise and worship and gifts of the spirit operating (manifesting) in a service, for the Baptist it means more in-depth verse by verse Bible teaching… on and on it goes. All that to say… what DEEPER means to Jesus, and should mean to us, is MORE LOVE for God and each other! Period. The Apostle Paul dealt with this a lot… he was constantly trying to get people to LOVE one another… especially within the body of Christ. I mean seriously, if you consider yourself a Christian YOU of all people need to love and appreciate everyone and their spiritual journey without judgment. 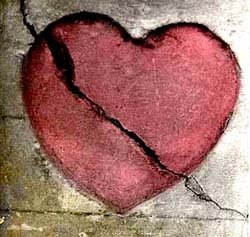 So what breaks God’s heart? Anything not done in LOVE!